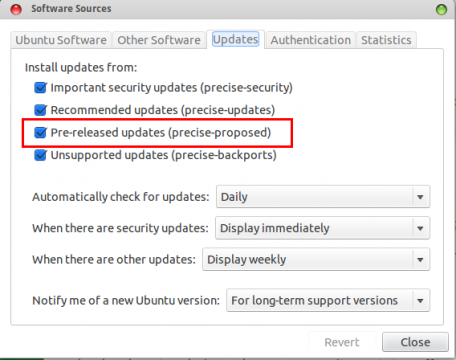 Proposed Archive provides pre-released updates for Ubuntu, by default it’s not enabled. There may be bug fixes or new features in pre-released update packages and you can selectively upgrade them by enabling proposed archive. 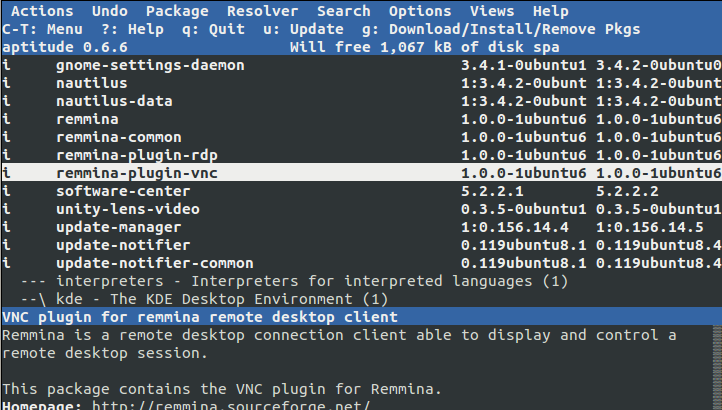 After enabling proposed archive, configure apt to allow selective installs of packages from it instead of upgrading all of your packages to the -proposed versions. copy and paste following into the file and save it. With this preference file in place, Update Manager, Synaptic and Aptitude won’t ask for upgrades from the -proposed repositories. Use aptitude to list and install updates from proposed archive. In aptitude, you should first update the package listings (‘u’ key), mark any of the packages you want to upgrade (‘+’ key), and finally install them (‘g’ key). After this, if you run Aptitude without options again, the rest of precise-proposed upgradable packages will remain hidden. It is recommend that you re-enable Apport bug filing to capture and report crashes. In the event that you end up reporting a crash about a proposed package please tag the bug as proposed-pkg so we can distinguish it from other crash reports. 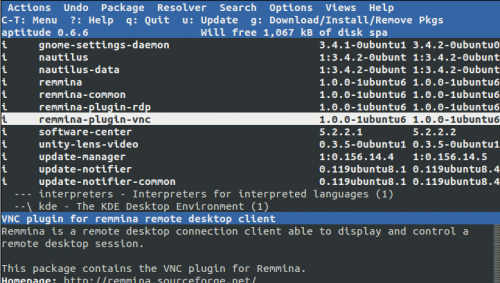 No user responded in " Enable Proposed Archive to Install Pre-released Updates in Ubuntu 12.04 "